Happy 4th of July weekend! How are you spending this lovely weekend? We are spending it celebrating the July birthdays at my parents house! I love this time of year because in addition to the July 4th holiday we celebrate my husbands birthday, my dads birthday, my cousins birthday, and my birthday! 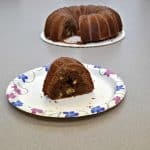 Since the 4th of July is tomorrow the Sunday Supper Movement is sharing easy to make patriotic recipes to get you ready for your cookouts and picnics! I had so many ideas on what to share today but since I was busy baking birthday cakes and pies I went for something super easy. 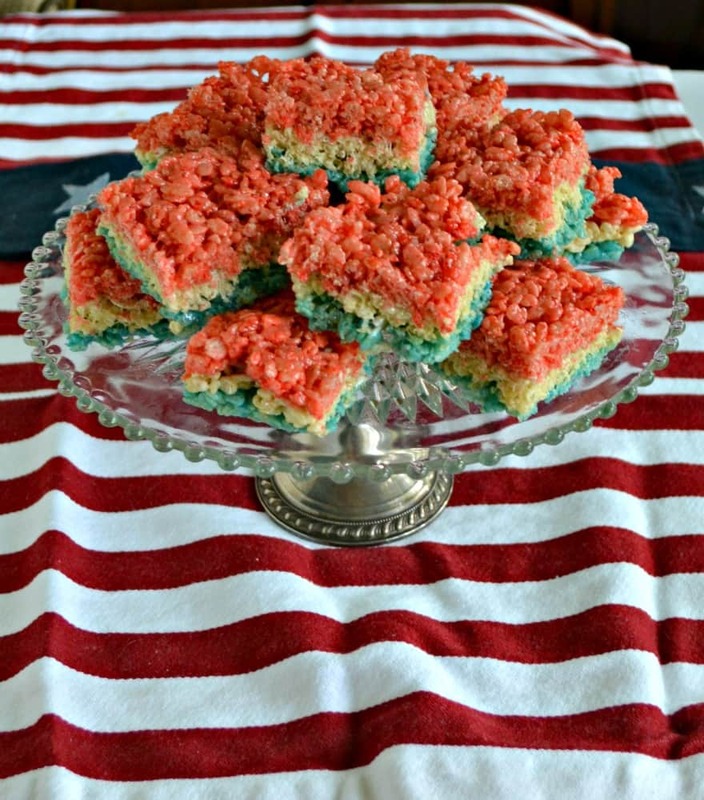 Today I’m sharing Red, White, and Blue Rice Krispies Treats! These are so easy, only require 3 ingredients, and you can have them made and ready to eat in under 20 minutes. 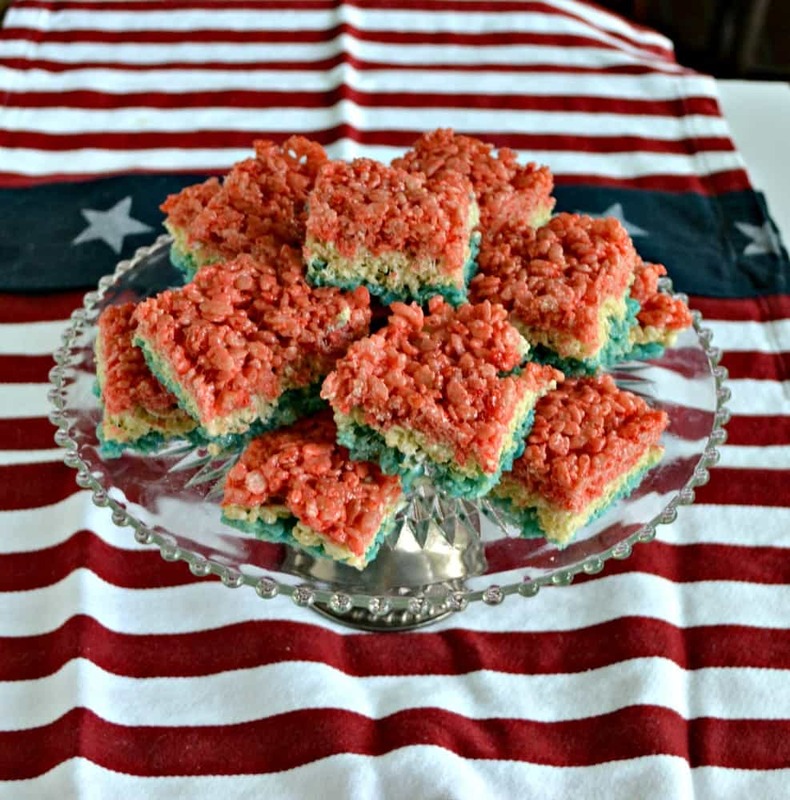 They are the perfect dessert to take with you to your July 4th parties! All you need to do is make 3 separate batches of Rice Krispies Treats. Then you color one red, one blue, and leave the third white. I use AmeriColor gel paste because you only need a drop to get the color you are looking for. I find with other food coloring it takes a whole bottle of red to actually get things to look red. So once you make the batches you layer the blue Rice Krispies on the bottom and refrigerate for 5 minutes. Then layer on the white and refrigerate for 5 minutes. Finally top with the red and refrigerate for 5 minutes. That’s it! After you are finished cut into squares or use a star cookie cutter to make shapes. It’s such an easy recipe but they look really cute. 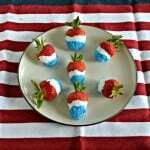 Everyone will have fun eating these during your 4th of July celebration. 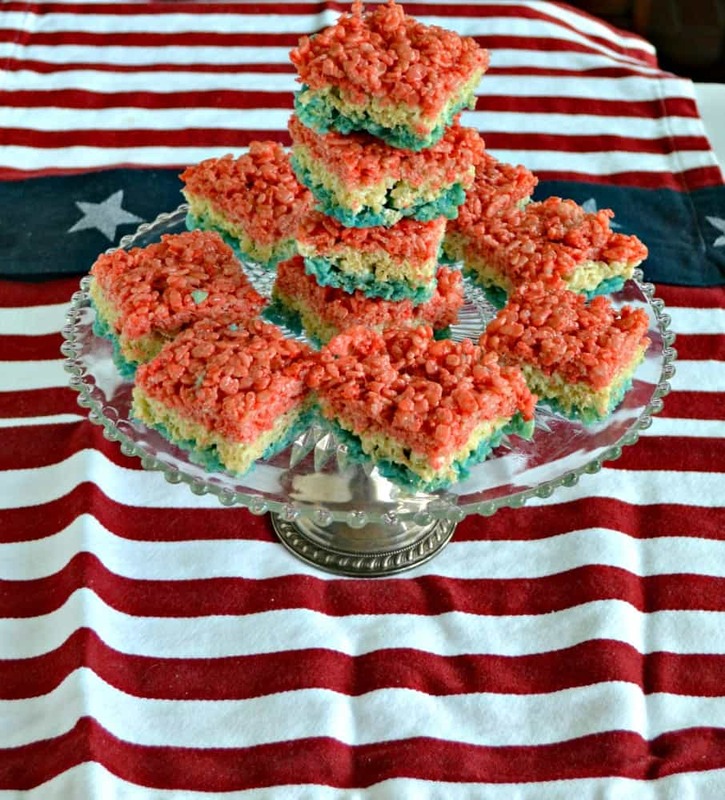 Layer red, white, and blue Rice Krispies treats for a fun and patriotic dessert! Spray a 9 x 9 or 7 x 11 baking dish with cooking spray. In a medium saucepan combine 1 tablespoon of butter and 1½ cups of marshmallows. Heat over medium heat, stirring occasionally, until the mixture is melted. 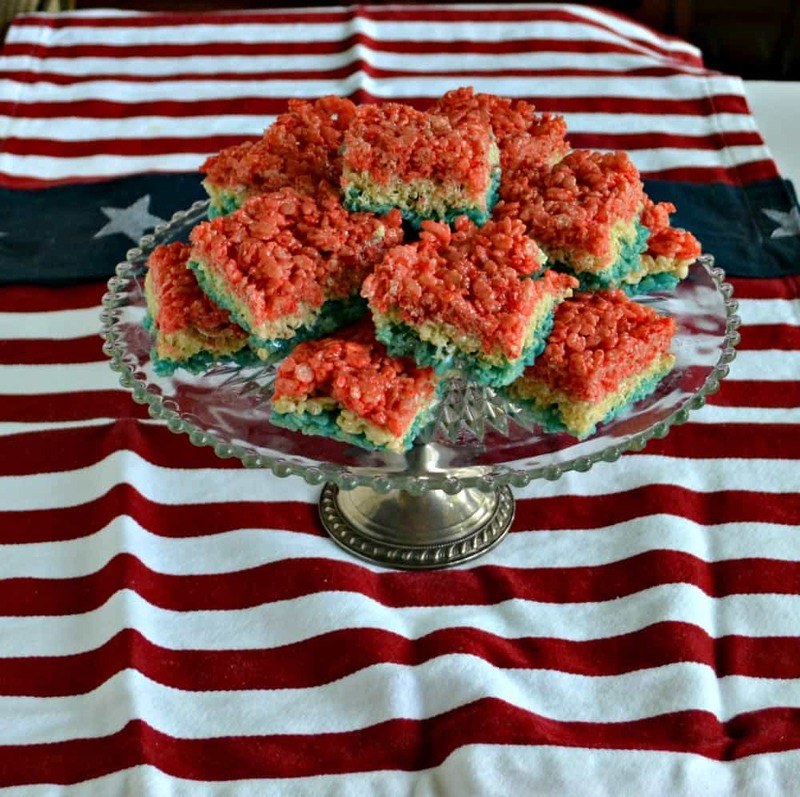 Remove from heat and mix in blue food coloring and 2 cups of Rice Krispies. Quickly spread the blue treats into the bottom of the prepared pan. Use a wooden spoon sprayed with cooking spray to smooth it out. Refrigerate for 5 minutes. Meanwhile, combine 1 tablespoon of butter and 1½ cups of marshmallows in a medium saucepan. Heat over medium heat, stirring occasionally, until the mixture is melted. Remove from heat and mix in 2 cups of Rice Krispies. Quickly spread the white treats on top of the blue treats, using a wooden spoon sprayed with cooking spray. Refrigerate for 5 minutes. In a medium saucepan combine 1 tablespoon of butter and 1½ cups of marshmallows. Heat over medium heat, stirring occasionally, until the mixture is melted. 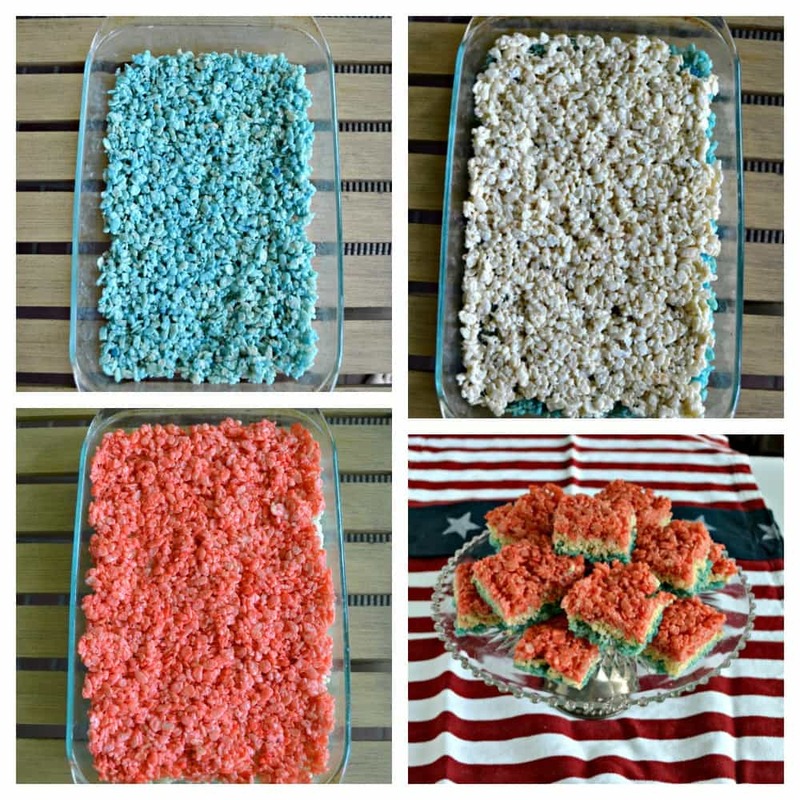 Remove from heat and mix in red food coloring and 2 cups of Rice Krispies. Quickly spread the red treats on top of the white treats, using a wooden spoon sprayed with cooking spray. Refrigerate for 5 minutes. 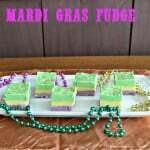 Remove from refrigerator and cut into squares. 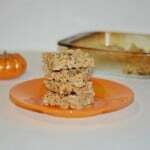 Who doesn’t love a Rice Krispie treat??? And these are so fun!!! These are so fun! Always love a good Rice Krispies Treat! These bring me right back to childhood! Actually more like college when rice krispy treats was all we could afford to make for dorm parties. This colorful version would have been the hit of the party! Cheers! Rice krispie treats are always on my 4th menu. Sometime I take to the food dye, too.